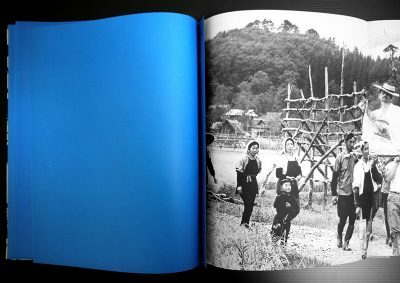 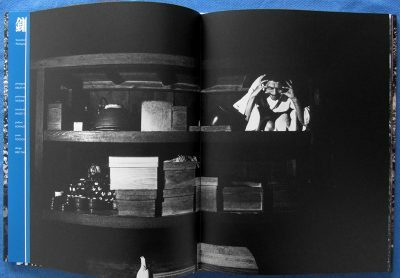 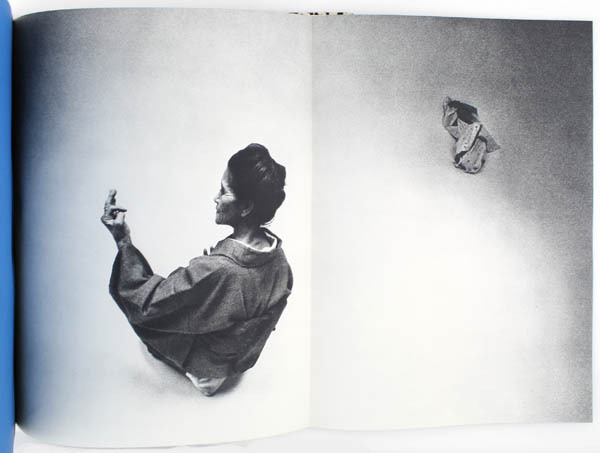 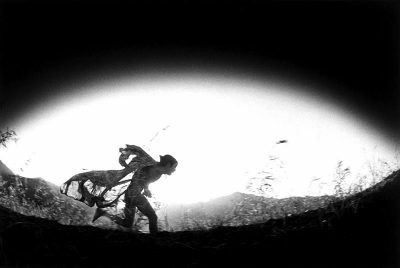 Eikoh Hosoe’s groundbreaking work Kamaitachi was originally released in 1969 as a limited-edition photobook of 1,000 copies. 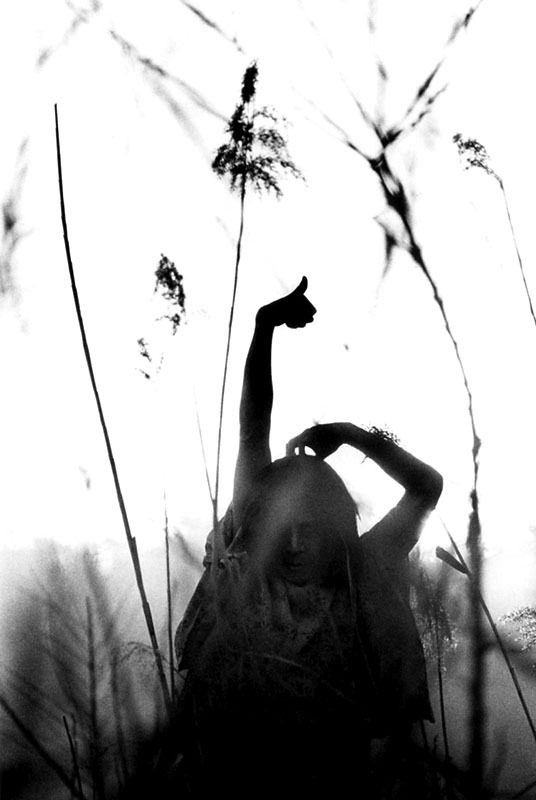 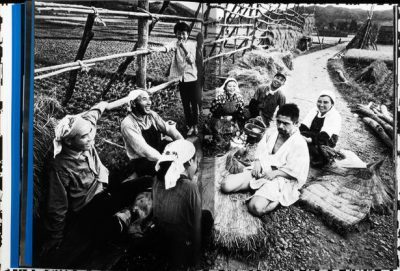 A collaboration with Tatsumi Hijikata, the founder of ankoku butoh dance, it documents their visit to a farming village in northern Japan and an improvisational performance made with local villagers, inspired by the legend of kamaitachi, a weasel-like demon who haunts rice fields and slashes people with a sickle. 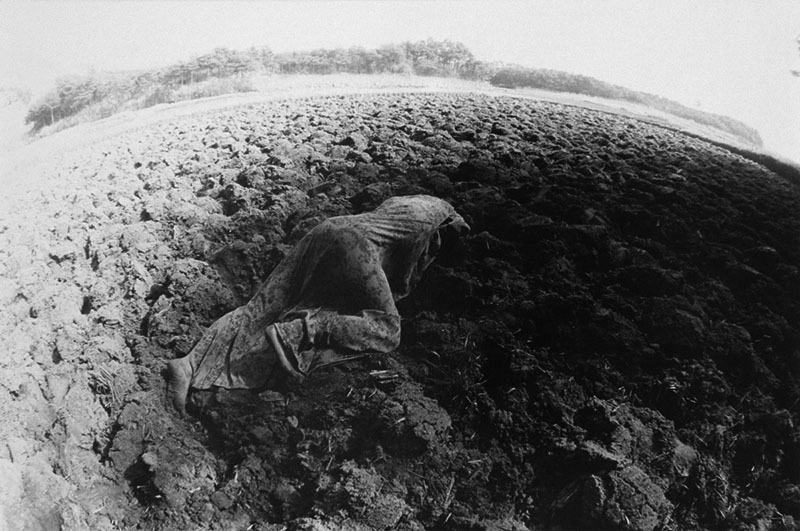 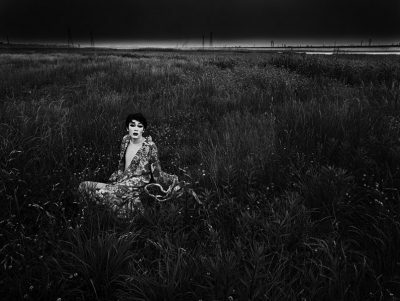 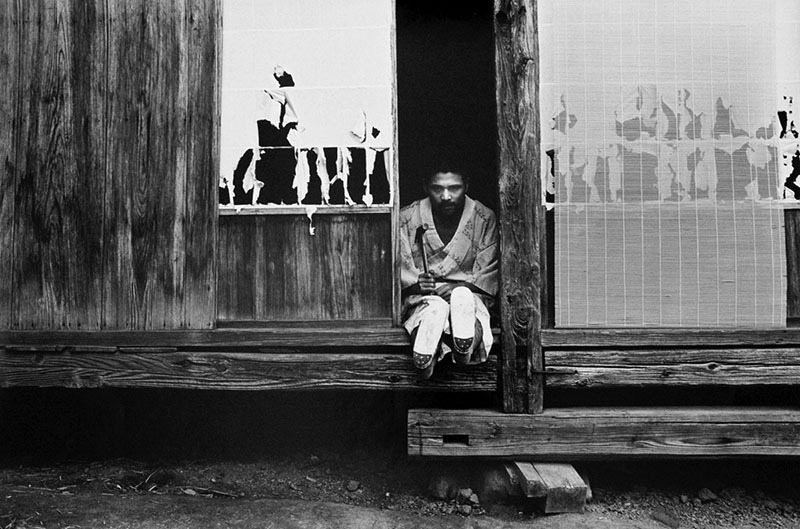 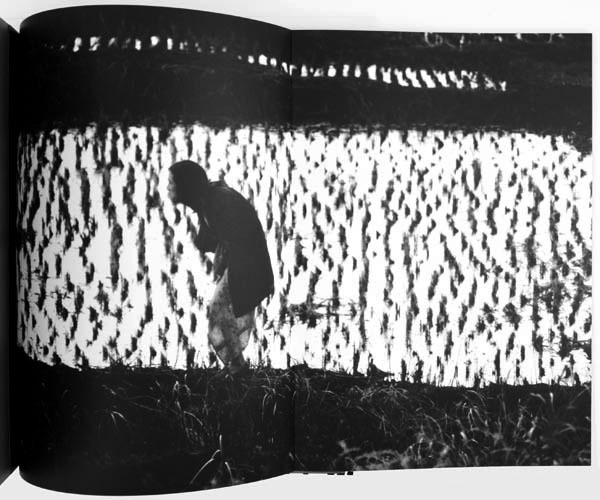 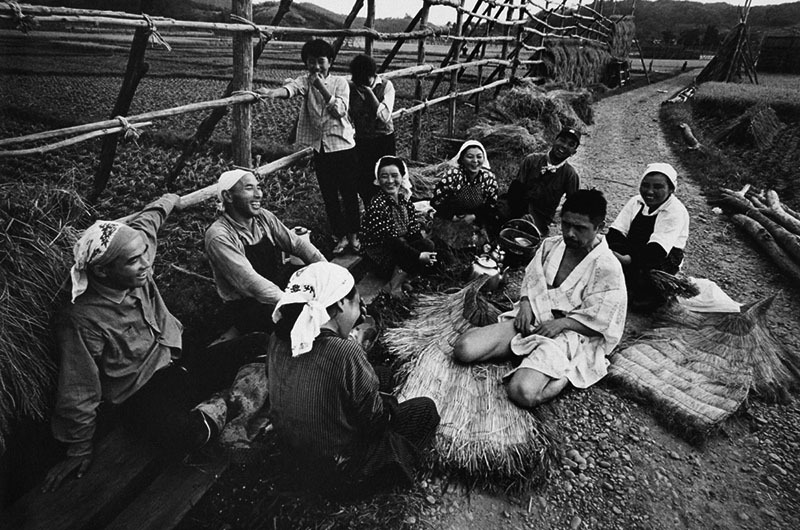 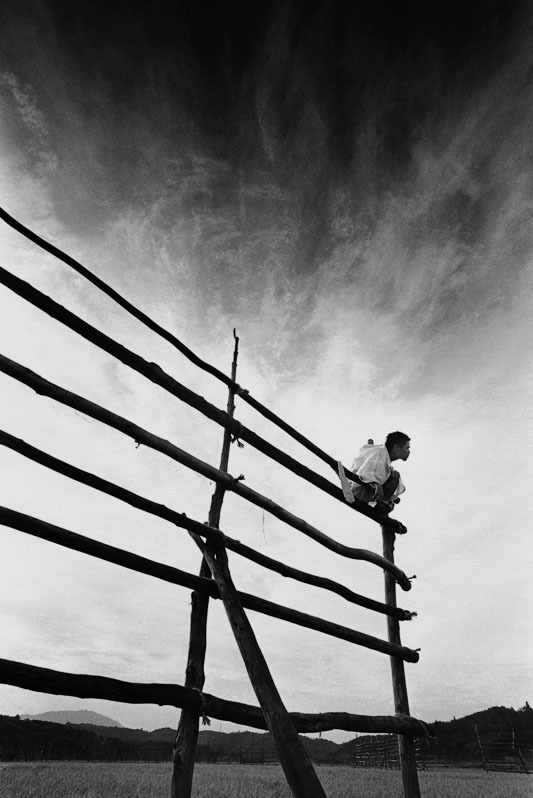 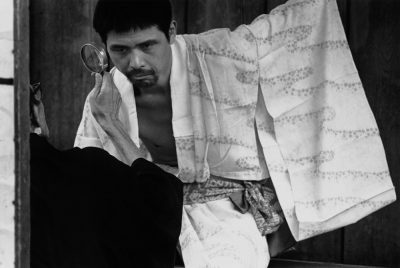 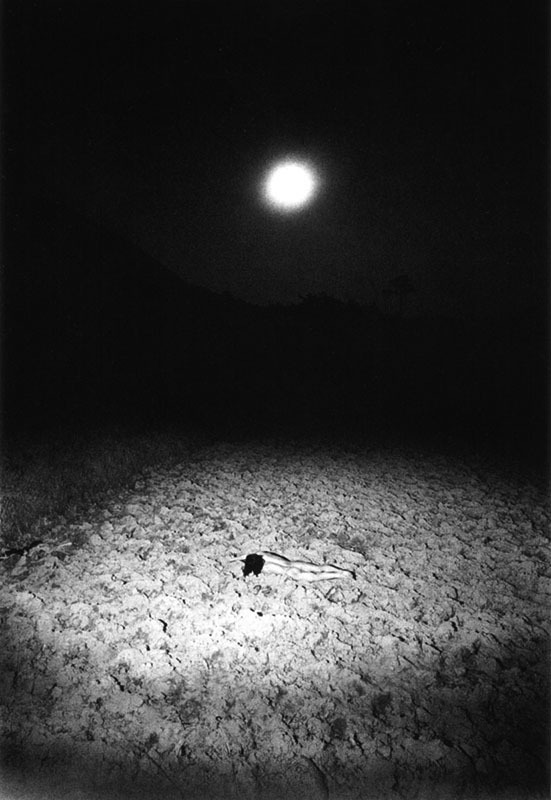 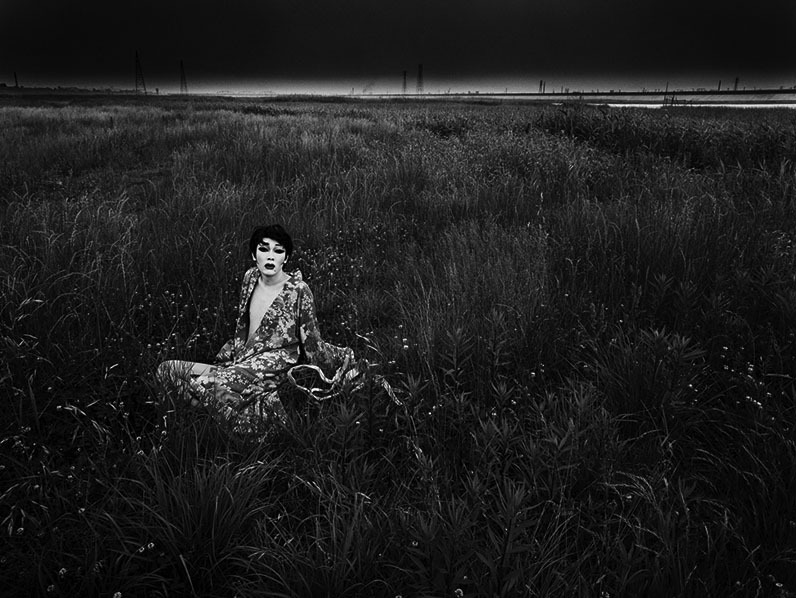 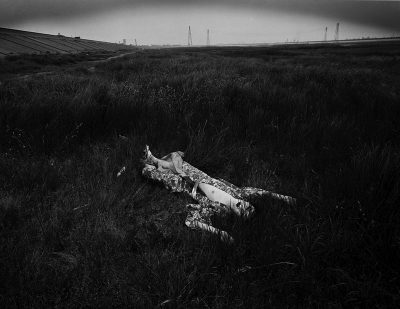 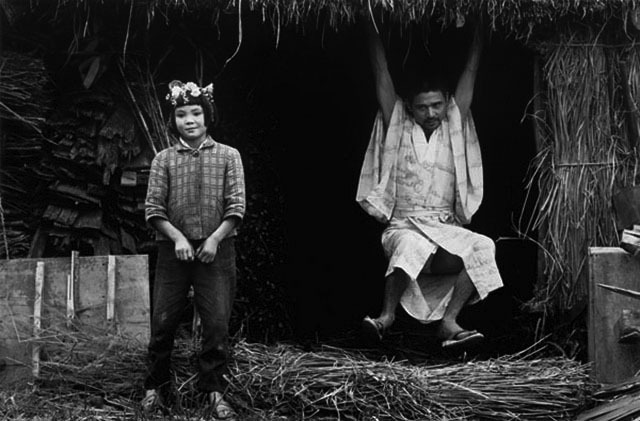 As Hosoe photographed, and partially direct, Hijikata’s spontaneous interactions with the landscape and with the people they encountered, the two artists together enacted an intense investigation of tradition and an exploration, both personal and symbolic, of contemporary convulsions in Japanese society. Hosoe always had an interest in dance and began photographing Japanese dancers during the 50s. 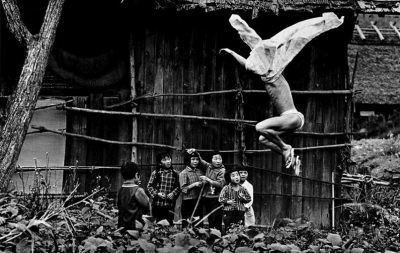 One night in I959, he witnessed an unprecedented performance called Kinjiki (Forbidden Colors). 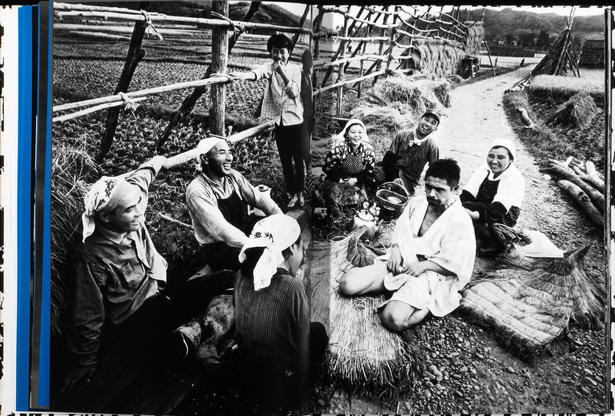 Hosoe conceived this project as a recollection of his childhood memories of being evacuated from Tokyo to the country side during World War II. “So I decided to record the Tohoku area, specifically the northeast portion, which was, as it turned out, the birthplace of both Hijikata and myself. 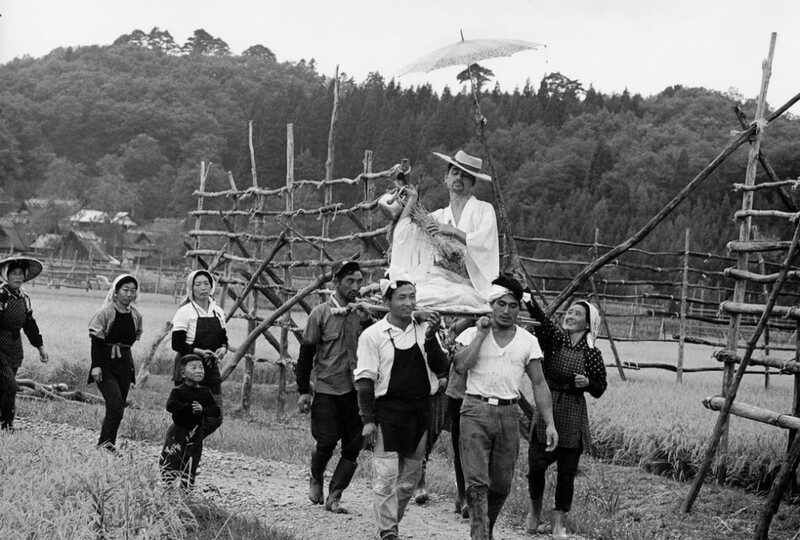 In the mid-1960s, Japan, especially its countryside, was evolving rapidly. 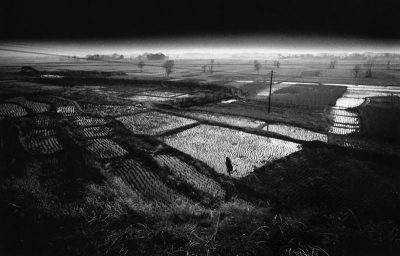 I was afraid that this rural region from my memories would be totally transformed, becoming nothing but flat and faceless terrain—a victim of modernizatih the land before it is changed irrevocably,but how?” I had decided I did not want to be a traditional documentary photographer, recording a place and its people directly. 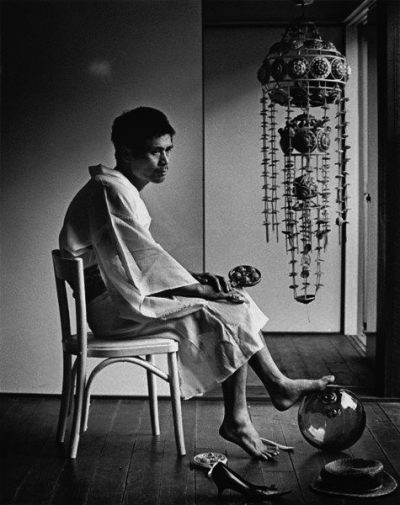 I was a much greedier photographer than that.” -Eikoh Hosoe. “Hijikata was dissatisfied with the Japanese modern dance scene, feeling that it was merely a copy of the work being done in the West. He wanted to find a form of expression that was purely Japanese, and one that allowed the body to ‘speak’ for itself, thru [sic!] 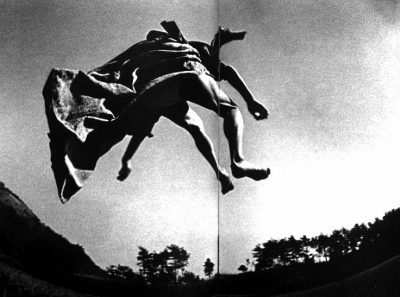 unconscious improvised movement. His first experiments were called Ankoku Butoh, or the Dance of Darkness. This darkness referred to the area of what was unknown to man, either within himself or in his surroundings. His butoh sought to tap the long dormant genetic forces that lay hidden in the shrinking consciousness of modern man.” -Eikoh Hosoe. 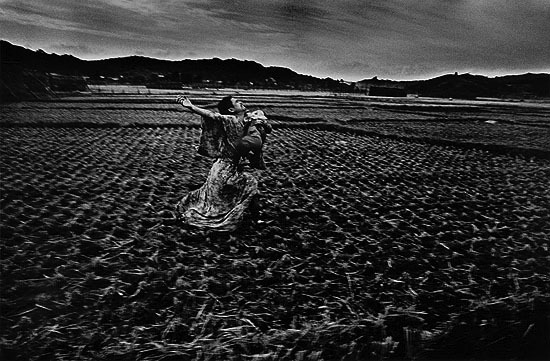 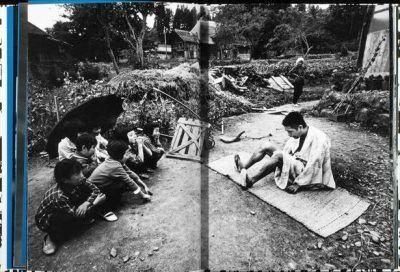 An edited excerpt from Eikoh Hosoe talks about his book Kamaitachi at Aperture Foundation.